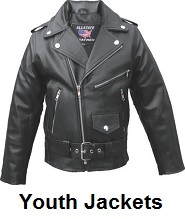 Youth motorcycle jackets, helmets, vests, gloves, chaps, pants and boots. 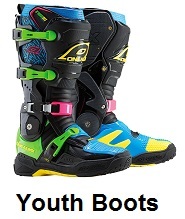 Shop for youth motorcycle gear, apparel, accessories and clothing at Motorcycle Gear Superstore. 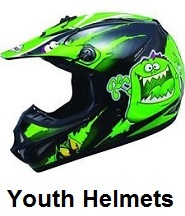 Youth motorcycle gear, apparel and accessories. Motorcycle Gear Superstore offers all types of kids motorcycle clothing and accessories. 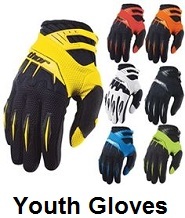 You will find gear for dirt bike riding, motorcycle racing and motocross racing. 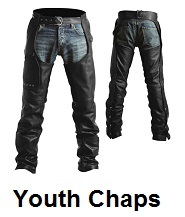 We offer many types of motorcycle gear to protect a youth while riding. 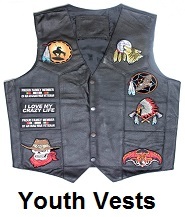 Youth motorcycle jackets, helmets, gloves, boots, pants, vests, motorcycle protective armor, shirts and jerseys. 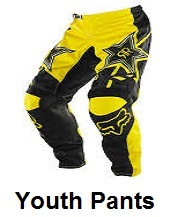 Motocross and motorcycle racing gear, apparel and accessories.